“Do the 3-shape and you’re done with contouring!” Oh really!!?? From all the misleading things that I keep hearing and reading since I came into this world(don’t worry, I’m only talking about the online beauty comunity :D), this one is the most common. Contouring is a very important make-up technique and there’s a lot to say about it, but it’s not crucial. So if you don’t know enough about it you should better stay away, otherwise, you risk doing more wrong than right. 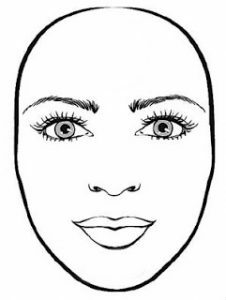 There are different ways to determine your face shape, the easiest one from my point of view is this: pull your hair back and take a picture of yourself looking straight ahead. Download that picture into your computer, open it with any image editing program and draw the contour of your face with a vivid color. Compare it with the shapes from above. 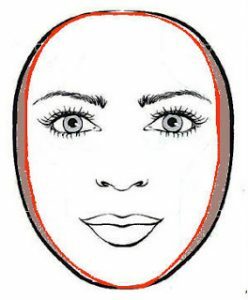 The Oval Face is considered to be the ideal shape. It’s symmetrical, slightly longer than wide and with a slightly rounded jaw-line. 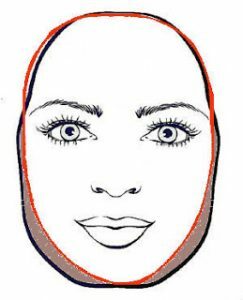 Being the ideal shape, it doesn’t need any contouring, but you can play “inside”: shape your nose, contour your cheeks, eyes and lips. 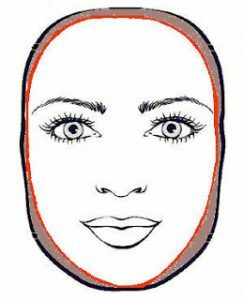 The oval face is the easiest to experiment with. If you’re not the lucky owner of this shape, your goal should be to try and achieve it through contouring. 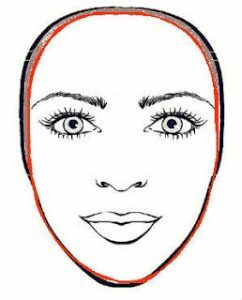 – the jaw-line is pointed and the forehead is the widest part of the face. 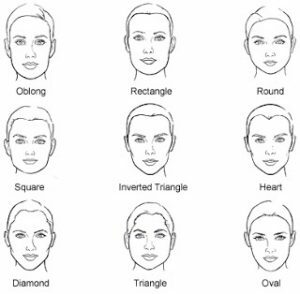 – to balance, you need to contour your temples and sometimes the sides of your cheeks, if they are very wide. – the face is almost as wide as it is long and you have a full, rounded jaw-line. 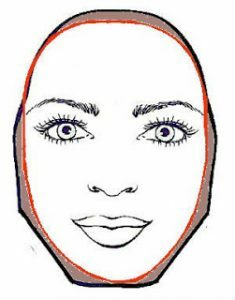 – this is one of the face-types where the “3-shaped” contouring actually works. – the forehead is narrow and the jaw is the widest part of your face. – contour your jaw-line and your cheeks to minimize the width. – this shape is defined by a strong bone-structure, with wide cheeks and a proeminent jaw-line. – contour the cheeks to minimize the width, and the sides of your jaw to give it a rounded shape. – the face is wide and your jaw and forehead are broad; the cheekbones are about the same width with your forehead and jaw. – contour the corners of your forehead and the sides of the jaw, blending up to where your ear begins. 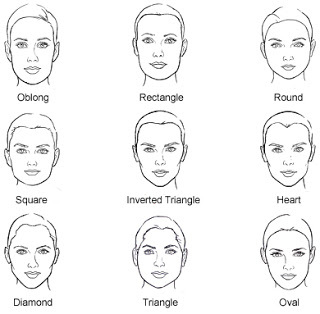 I’m far from covering all aspects, but these are the generally accepted rules of contouring. However, remember that rules are meant to be broken, so don’t be afraid to experiment! © 2017 – 2018 Makeup Playground, LLC. All rights reserved.